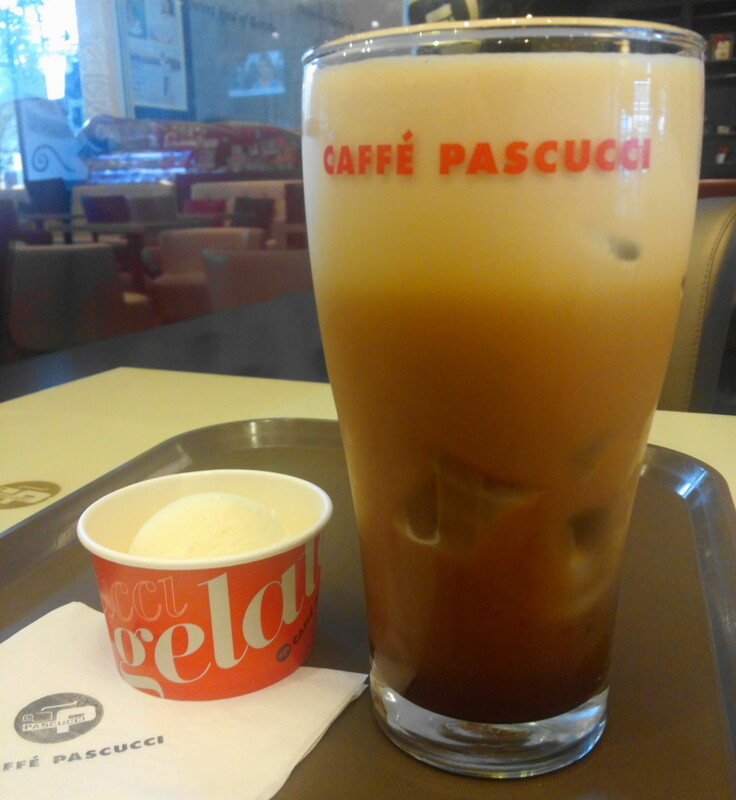 The Korean Summers are long, hot and humid, therefore a refreshing cool drink is often a welcome sight. 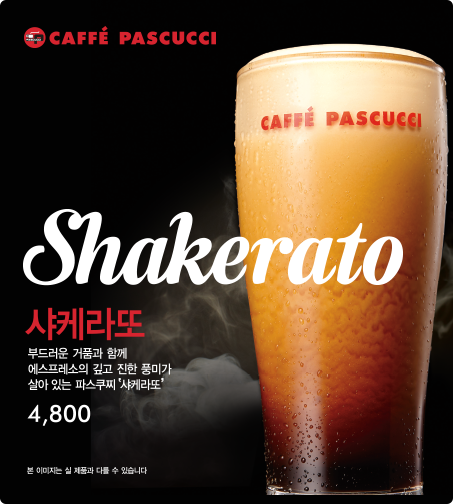 This summer a from chain coffee shops here in South Korea have released almost draft beer (similar to Guinness in appearance) style coffees. With a creamy white head and dark body, served over ice. These Coffees are a welcome addition to the menus. 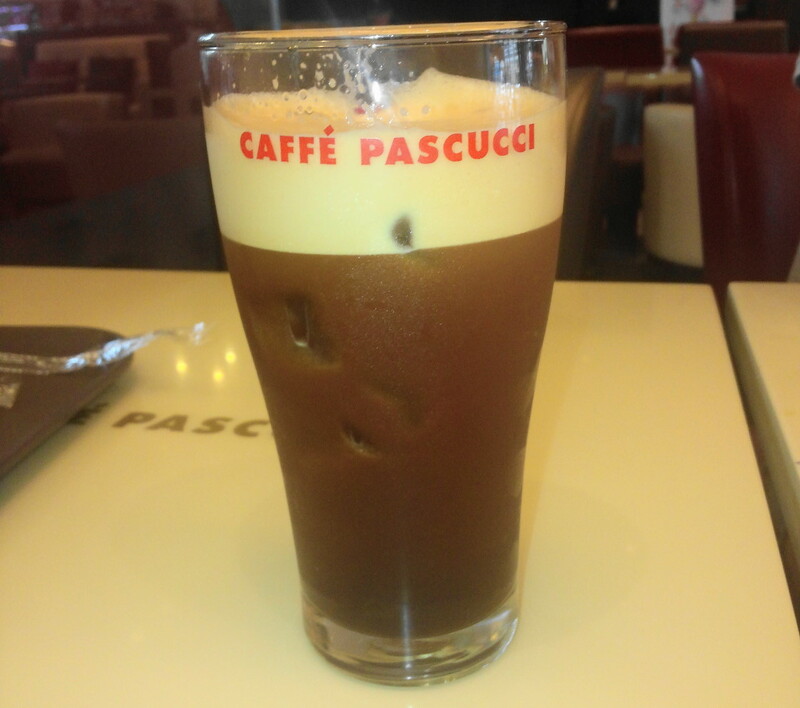 The Caffe Pascucci entry is the Shakerato (not to be mistaken for the Chilled Espresso of the same name). 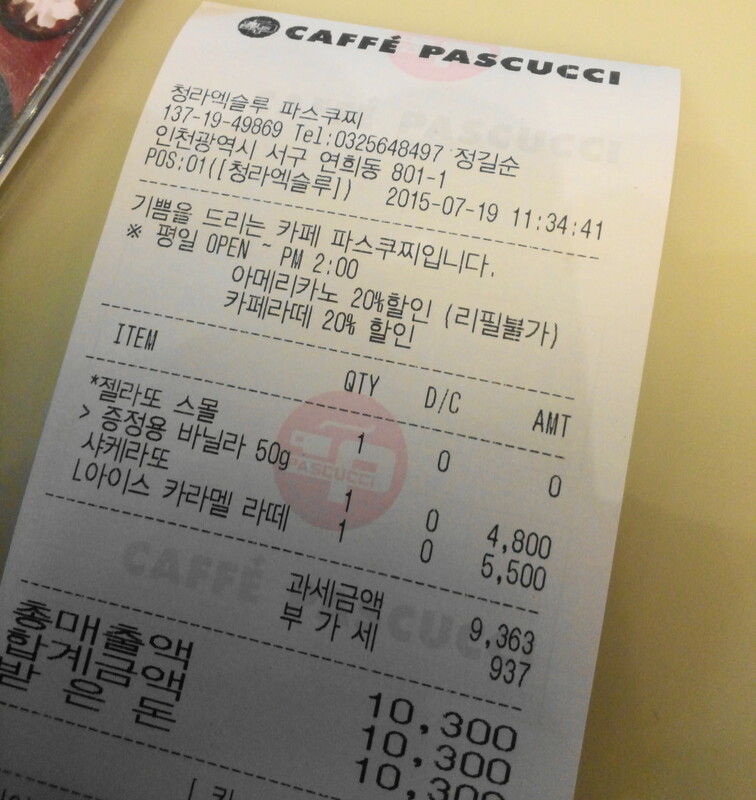 The Shakerato (샤케라또) set us back ₩4,800 ($5) which is cheaper than a similarly sized Latte. 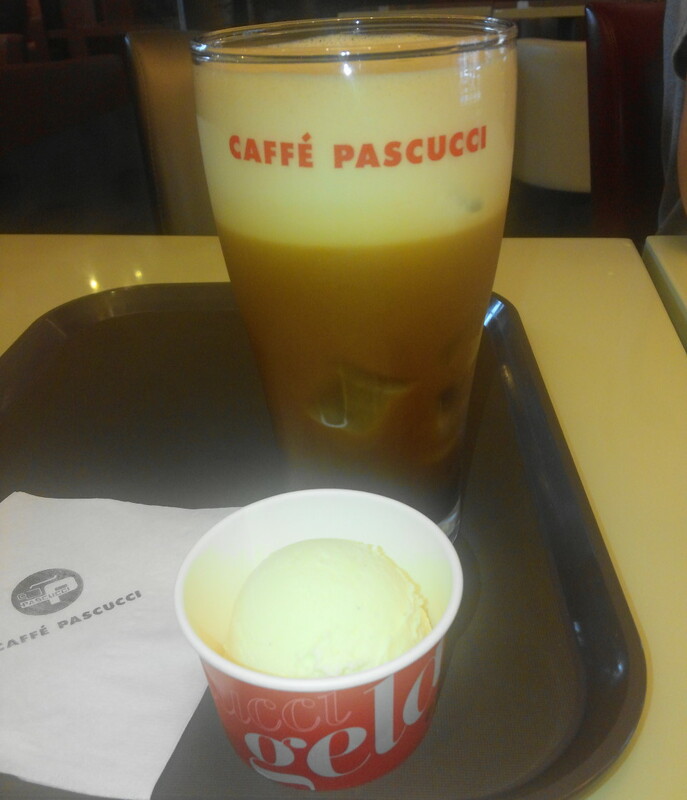 It also came with a small Ice Cream (not sure if that happens every time or if it was just service). 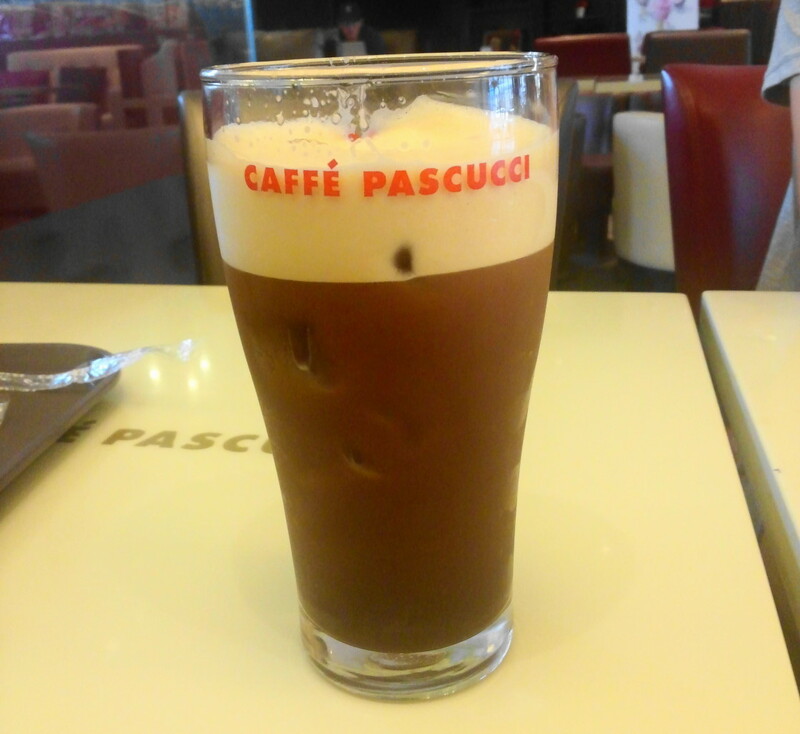 The taste of the Caffe Pascucci Shakerato was refreshing, strong but sweet. 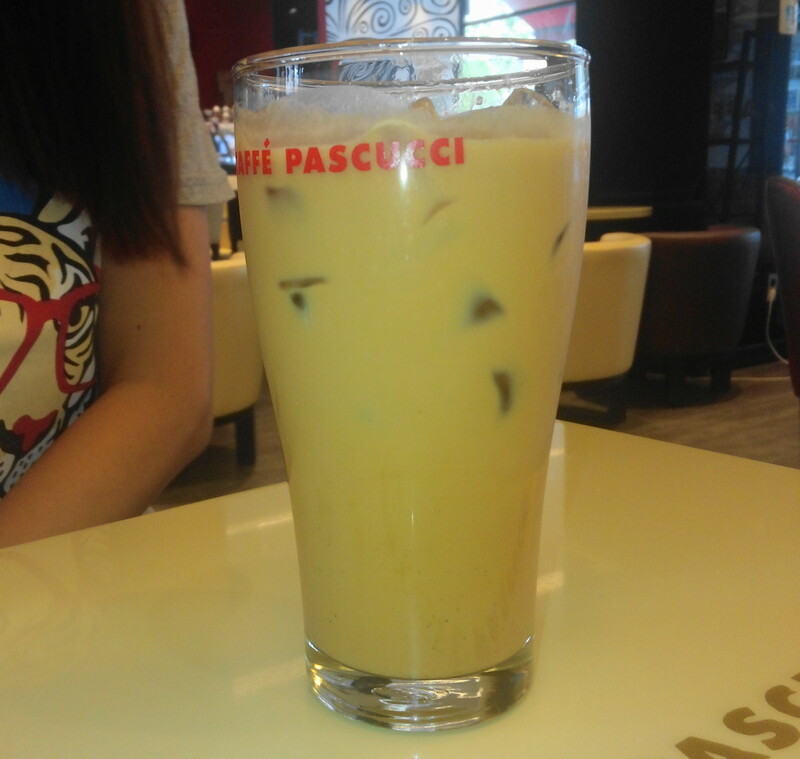 The consistency was smooth and drinking from a pint glass was for me personally a nice feeling of home. It maybe a little expensive for some but is about right for this coffee chain. We’d recommend trying it on a lazy summer lunchtime if you can find the time. 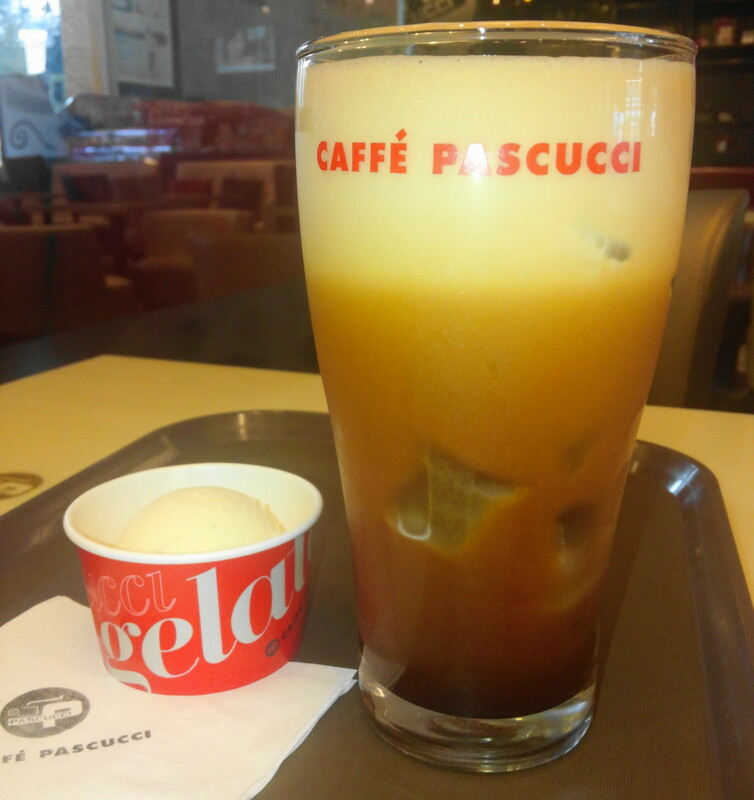 As always if you have any questions about Caffe Pascucci, The Shakerato and/or Coffee in South Korea in general please feel free to let us know. Either below, by Email or via Twitter or Facebook.